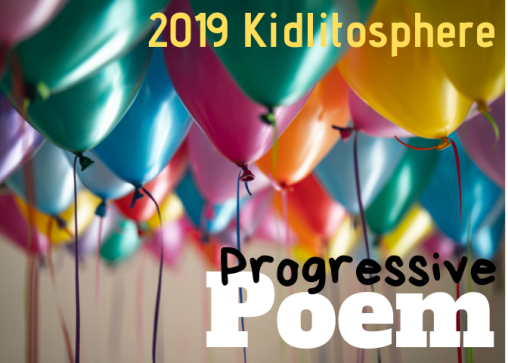 Last year I was audience for the National Poetry Month projects of others, but in March I stretCHed myself with the "Forward...MarCH" project. This year, inspired by Tabatha's "Poem-Song Match-Up" project, I'm going to spend April posting Poetry-Music Match-Ups, and I'd like to invite you to submit your pairings. and any other poetry-music combinations that make sense to you. I ask only that we are all very careful with attribution. I'll aim to have a daily posting, but I'll need to queue them up during Spring Break, so I would love to have your submissions starting any time now through Saturday, April 2. (I'm sure I'll be willing to take them after that, too, but it will be harder to be organized!). Send your ideas, texts, videos and links to me here. Pass me the ketchup and a spoon. So clever! Love the poem and the idea of matching poems and songs. I did a match-up of sorts today at Kurious Kitty! I'll see if I can come up with something else for you! "all us fools for poetry" Indeed! Your poem is so clever, and I love these match-ups! I'll keep my eyes and ears open for one. Who ever thought of April being the ketchup bottle and spring the burger? Love it! I might have something for you poem/song-wise. Hi Heidi, so glad to hear you'll be taking up Tabatha's poem/music match-up baton! Love your anticipation connection. Hip hip hooray for April's poetry bounty!!! It's a lovely idea, and you've given me an idea with that burger/ketchup pairing, Heidi. I wonder if there is a poem to be found in commercials? Your poem would make Heinz happy! Maybe I can match some Glenn Miller or Benny Goodman with my Bygones poems!